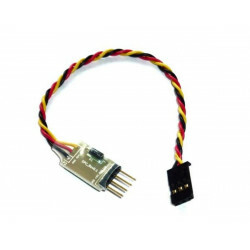 FrSky X4R 4ch 2.4Ghz ACCST Receiver (w/telemetry) FrSky's X4R receiver features 4 PWM outputs (..
FrSky R9 SlimAs the second R9 series receiver, R9 Slim includes all the advantages of the previous R.. 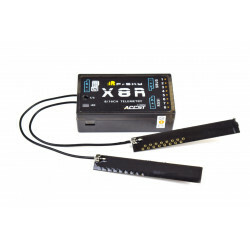 This version of the X4R does include the Sbus output and offers 3 channels via PWM. No CPPM output. 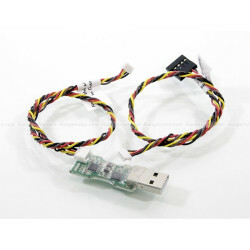 Frsky Smart Port Converter CableAllows the FrUSB-3 USB cable to connect to Smart Port devices to upd..
FRSKY USB CABLE (FUC-3)This USB cable is used to update the firmware on various FrSKY modules, recei..